Heavy-duty steel with 480 square inches of wedging area! Furnished with fine steel cutting wire and a canvas "snap-on" wedging cloth. Requires 50 lb of plaster to fill the wedging board. Plaster sold separately. 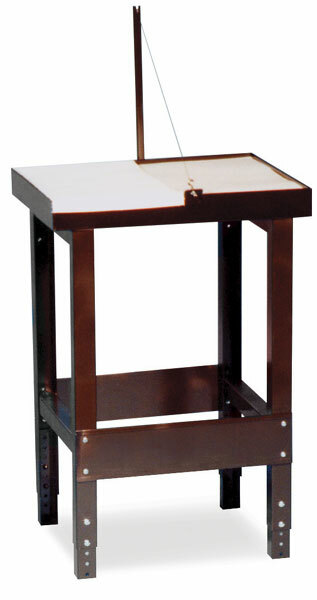 The wedging board and stand have a dark brown finish. 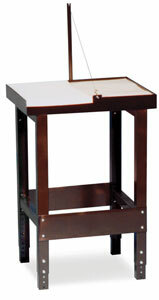 Height adjusts from 30" to 36" (76 cm - 91 cm).